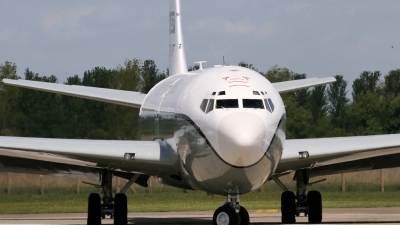 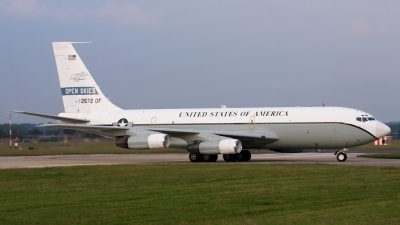 45th RS / 55th Wg - Offutt AFB, NB. 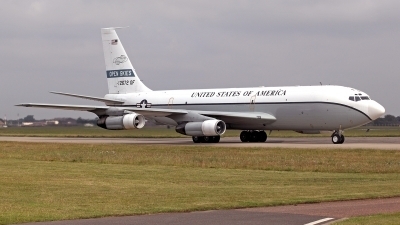 Open Skies lining up on RWY29 at RAF Mildenhall. 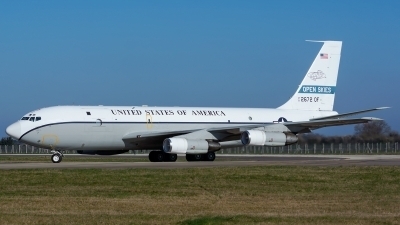 OC 135W 81-2672 does a "180" on the Mildenhall 11 under run prior to departing as OPEN SKIES 12 TANGO. 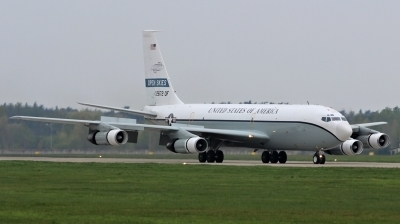 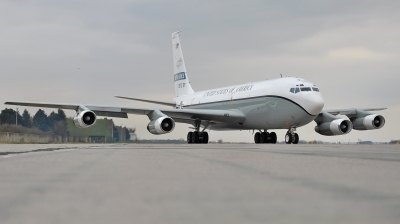 OC 135W 61-2672 arrives at RAF Mildenhall calling COBRA 72. 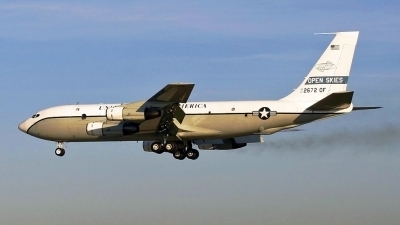 45th Reconnaissance Squadron, 55th Wing, Offutt AFB, Nebraska. 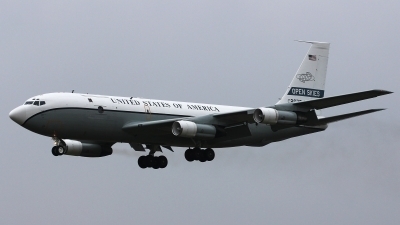 Boeing OC-135B Open Skies on final for runway 01R at IAB. 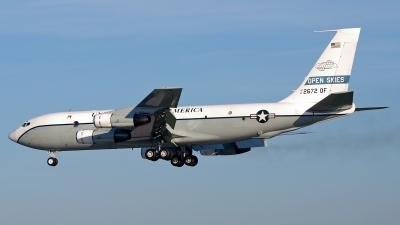 45th Reconnaissance Squadron, 55th Wing, Offutt AFB, Nebraska. 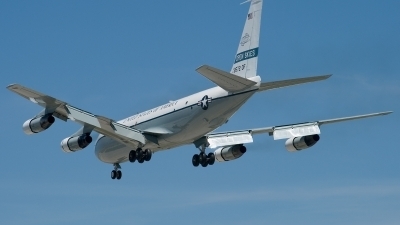 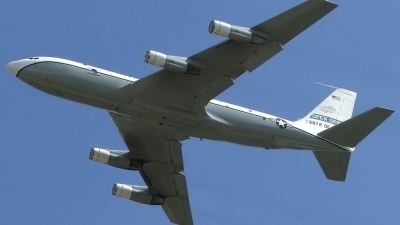 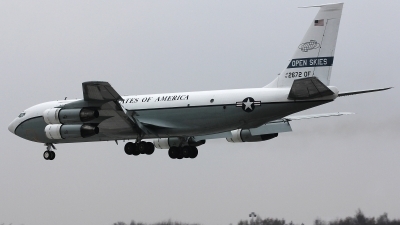 Boeing OC-135B Open Skies seen departing runway 29 at MHZ. 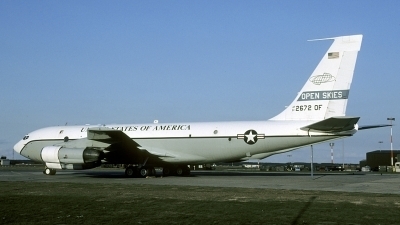 45th Reconnaissance Squadron, 55th Wing, Offutt AFB, Nebraska. 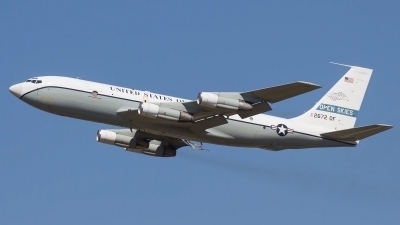 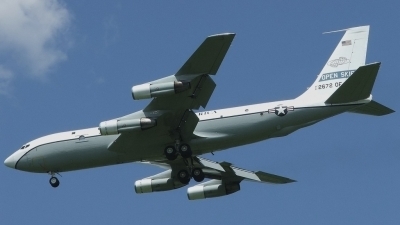 Boeing OC-135B Open Skies seen doing approaches to runway 31 at FOE.